There are six centuries of history in Europe’s first gardens dedicated to plants. In the 15th century, King René, who was passionate about plants, brought many Mediterranean species to Anjou. Today the garden has some 500,000 plant species from all over the world. From April to October, the exceptional collections of orchids, roses and palm trees and the giant greenhouses, activities and playgrounds are not to be missed! There are about 60 of these curious twisted bell towers in France, out of about 100 listed in Europe. They are mainly to be found in Anjou, in the Baugeoise region. You will recognise them by their slate roofs and pointed, helical spires. An architectural feat to be admired on your walks through Anjou! Listed as a historic monument, this château has many architectural treasures and a network of underground tunnels carved out of the tuffeau stone. This residence was built between the 11th and 19th centuries for French lords. 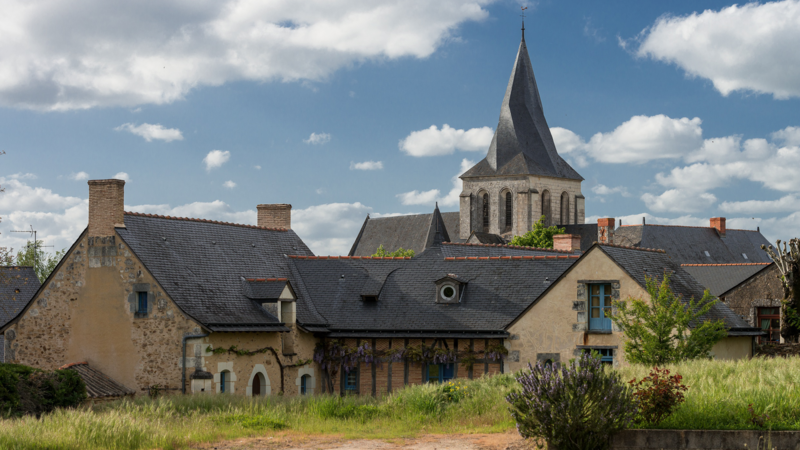 Discover its unique world of stables, kitchens, cellars, a silkworm farm and the deepest dry moat in Europe. A journey in time and stone! 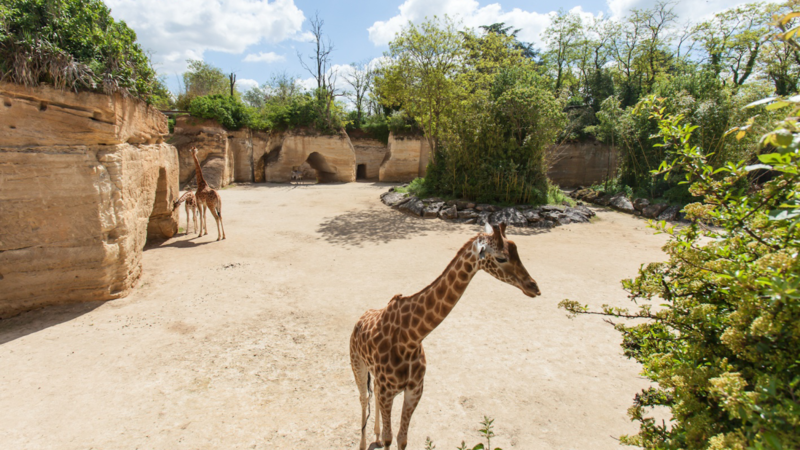 Nestled in the heart of Anjou, the Doué-la-Fontaine zoo is the only one of its kind in the world. There are 1,200 different species living amongst these caves, 41 of which are classified as endangered on the World Conservation Union’s Red List. This former abbey of Benedictine inspiration is well and truly in step with the times. The abbey doors are open to all with a new cultural orientation and a focus on new, digital tool and with sustainable development in mind. This year, the abbey opens its new museum of modern art with a Cligman collection of around 900 works. Another reason to (re)discover this architectural and cultural gem! From March to November, the biggest Japanese garden in Europe opens its door to the public. A visit that will amaze with its exceptional architectural setting, unique atmosphere, and vibrant shows and activities about Japanese culture held every season. From May to September, enjoy an enchanting evening of music and poetry during the garden’s night-time opening hours, a truly magical experience. Escape from the outside world in this enchanting garden which all ages will enjoy. From the end of March, go blue! Take a trip down the old mining tunnels, but don’t forget your hard hat and woolly jumper! Discover how people have extracted this bluestone, which is a type of slate, both now and in the past. An unusual journey in time, 126 metres underground! You can find this lakehouse in the heart of the 6,000 hectares of the 2nd biggest ornithological nature reserve in France. Learn about the ecosystem in the exhibition centre, on the famous nature trail and in the terrace pavilion. There are more than 500 species of plants and 800 couples of birds. A unique place to discover by bike, on foot or on horseback. The way this “white gold” is made and harvested hasn’t changed at all over the centuries. 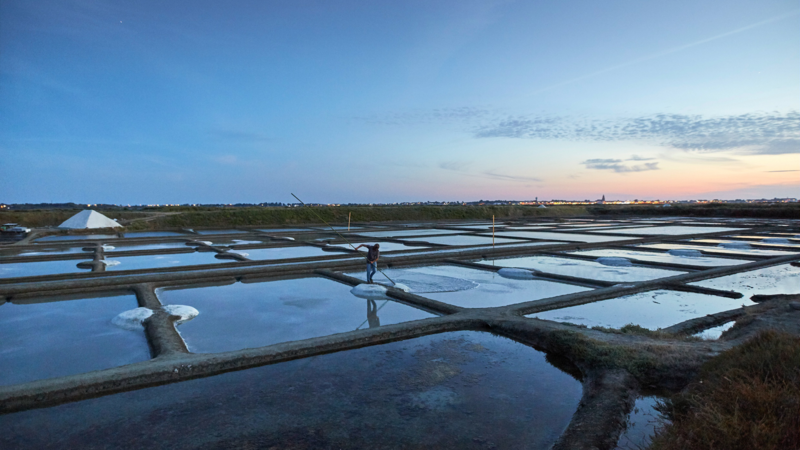 The Atlantic coast salt marshes are tended by “paludiers” who use the same techniques to extract the famous fleur de sel as their ancestors. At each high tide, the sea deposits salt which is then harvested. You will enjoy the subtle note of salt in your food even more after discovering this unique landscape and the ancestral harvesting techniques. Listed as one of the most top animal parks, this zoo is home to all kinds of mammals, reptiles, amphibians and birds in a rich green setting. There are many events, shows and themed days organised for visitors. Best of all, you can also spend the night at the same height as giraffes, in the heart of the savannah. Dive into the Atlantic, the Mediterranean, the Indian Ocean and the Pacific and meet all the unusual creatures down there. Explore the many stages in the visit which hold 400 specimens of aquatic life and marvel at their beautiful colours and unusual lives. An ocean of wonders on the coast, not to be missed! Explore the biggest safari in France! Either in your car or with a guide in a 4x4, take a trip to see the wildlife and meet the zoo’s 1,000 animals. Get even closer to the animals by walking around the four incredible worlds of Asia, Africa, South America and Europe. You can also camp in the heart of Mongolia. A great way to get a change of scenery! 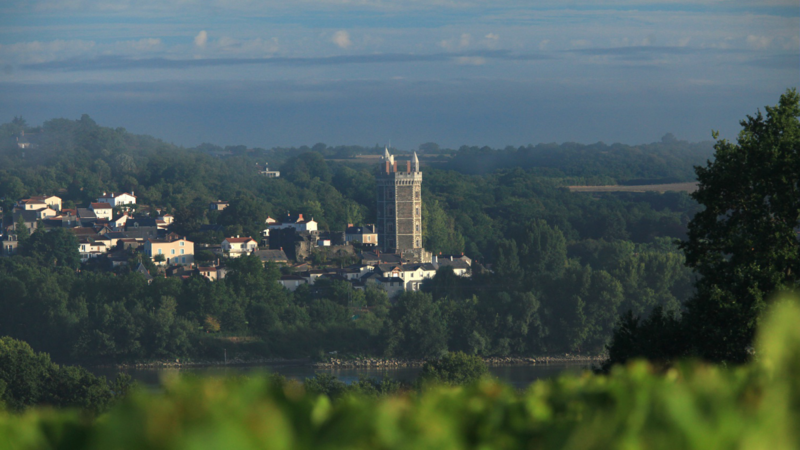 Overlooking the Loire, the Tower of Oudon is one of the many heritage riches in the Loire Valley. This 600-year-old octagonal tower is an architectural gem. Take the opportunity to explore the fortified enclosure wall and go through the dungeon door to discover the history of the Royal River over the past centuries.